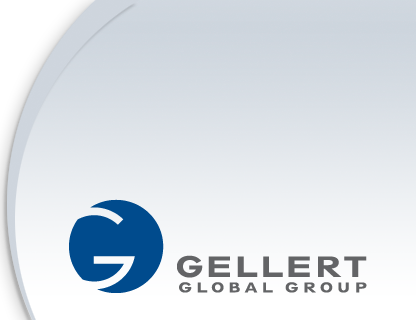 George G. Gellert is the Chairman and CEO of the Gellert Global Group of companies, which includes a network of food importers and distributors with revenues in excess of $1 Billion. George Gellert has exemplified success throughout his storied career. After earning three degrees from Cornell University (BS, MBA and JD), Mr. Gellert was admitted to the New York Bar in 1963 and served as an attorney in Washington D.C. for the Securities and Exchange Commission and the Army Material Command. There he was honored with the Decorated Army Commendation Medal, the highest civilian honor bestowed during peace time. It was not long after his military service that he entered the family business, joining Atalanta in 1965. After being named Vice President in 1969 and President in 1973, Mr. Gellert enjoyed continued success, being named Chairman of the Board in 1980. It was through Atalanta that Mr. Gellert initiated several business ventures, including being one of the first businessmen invited to trade with China in the 1970s. He also served as the Vice Chair of the United States-Romanian Economic Council, and as the Director of the East-West Trade Council. Mr. Gellert remains active within the affairs of Cornell University, where he formally served as a Trustee. Since 1992, he has been a member of the University Council, the Entrepreneurship and Personal Enterprise Advisory Council and the Johnson School of Management Alumni Executive Council. Most recently he has been named a Presidential Fellow at Cornell. Mr. Gellert was recently honored with the induction into The NJ BIZ Hall of Fame, and most recently he was honored for his by The Elizabeth Coalition to House the Homeless for his many charitable works in the local community. He has also been awarded the Ellis Island Medal of Honor, where his Hungarian and Russian heritage was honored.